To first understand what a myokine is, we must delve into cytokines. Essentially, the term ‘cytokine’ refers to a category of proteins which play an important role for cell signalling. 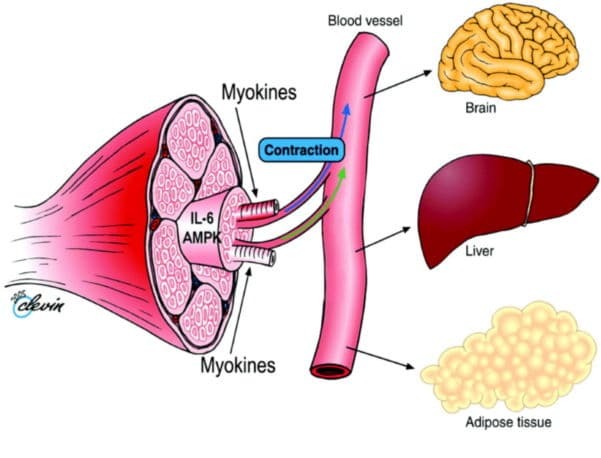 Myokines belong in this category and are released by the muscle cells when the muscle contracts (shortens). There are dozens of different myokines, each with different effects. When we exercise, more myokines are synthesized and modern research now suggests that they’re involved in both anabolic (tissue creating) and catabolic (tissue destroying) processes. Once released, these myokines flow through the circulatory system to interact and change the states of certain organs. Understanding their importance is key for maintaining metabolic health, avoiding neurological disorders, and battling various potentially fatal diseases. As you can probably already tell, myokines are vital for muscular recovery. When we exercise, we create something known as ‘myotrauma’. Myo means muscle (hence why myokines have the name that they do), and the ‘trauma’ created is fibre damage. This is one reason that lets our body know that it needs to adapt by growing stronger and bigger. 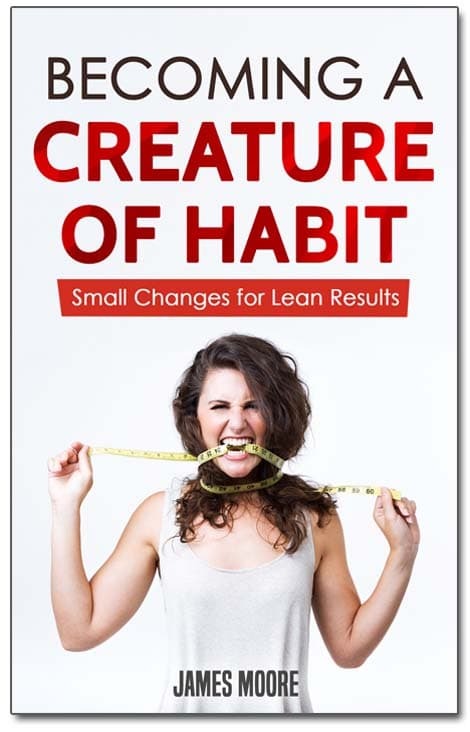 Our body is always in either one of two states: catabolic and anabolic. It cannot be in both at the same time. Catabolism is what we primarily chase when cutting as our body is breaking down fatty tissue to be used as fuel. On the other hand, an anabolic state is what we look for when bulking as our body needs to create muscle tissue. Yet, catabolism is also what creates muscle breakdown and the reason that we often become weaker when trying to lose fat. As well as this, anabolism is the reason why we gain fat when trying to build muscle. Not being able to enter both states at the same time means that gaining pure muscle and losing pure fat is impossible. Myokines are thought to be involved in muscle growth through several different methods. Firstly, they can directly stimulate MPS (muscle protein synthesis), the process by which our body creates muscle tissue. Secondly, myokines in particular, downregulates catabolic processes which cause proteolysis – the breakdown of protein into amino acids. This is what occurs when we lose muscle mass as our body uses the amino acids to convert them into glucose for fuel. By upregulating anabolic processes and downregulating catabolic processes, our body is in the perfect environment to build muscle tissue. Our body also has what are known as ‘satellite cells’. These are precursors to skeletal muscle cells and therefore, are important for gaining muscular size. Myokines may also be involved in the response these satellite cells have to training and help to increase hypertrophic results. Myostatin is the largest myokine for having negative effects for anabolism by reducing MPS. It’s also involved in the deposition of fat. As myo means muscle and statin means stop, myostatin literally translates to ‘muscle stopping’. The most notable occasion of this comes from a breed of cattle from Belgium known as Belgian Blue. 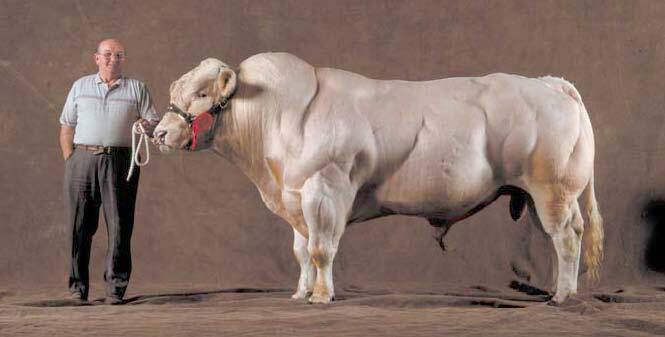 The cows have a natural mutation which means that the myostatin is unable to function normally. This causes a dramatic increase of muscle tissue whilst maintaining a very low level of body fat. This causes the cows to have an impressively muscular body structure and creates extremely lean cuts of meat. There are five primary myokines. Mechano Growth Factor (MGF) – As we already know, our body enters an anabolic state as a result of resistance training in order to adapt to the stimulus placed upon it. 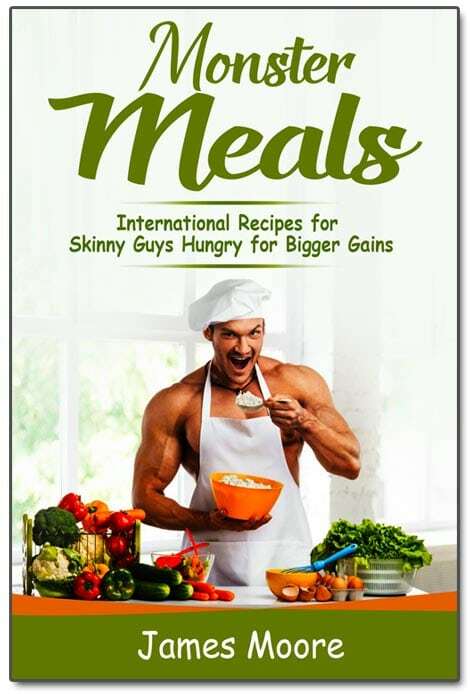 MGF is thought to kick-start the growth processes by upregulating the ingredients required for anabolism and downregulating the ingredients required for catabolism. Interleukins (ILs) – Ils are involved in the immune response after we exercise. They’re heavily involved in hypertrophic actions i.e. when our muscles increase in size. IL-6 (Interleukin 6) was found to be the first myokine secreted into the blood stream post muscular contraction. Myostatin (MSTN) – Myostatin was the first myokine to be discovered when it was identified in 2008. MSTN actually works to reduce muscle fibre protein synthesis (MPS), acting as a negative regulator of muscle growth. Hepatocyte Growth Factor (HGF) – Also known as scatter factor, HGF is known for its role in organ development, regeneration, and healing. Leukemia Inhibitory Factor (LIF) – LIF works to inhibit differention and gains its name from its ability to prevent the growth of leukemic cells. As we’ve discussed, myokines are not just useful for gaining muscle; they’re also useful for preventing extremely harmful diseases. Their discovery allowed for greater insight into how the body defends itself from diabetes, cardiovascular disease, cancer, dementia, Alzheimer’s, and a range of other life-threatening and debilitating conditions. We’ve known for a long time that engaging in regular activity helps to lower our risk of illness and increase our life expectancy. However, now we may know why. In a 2011 study published in the Journal of Experimental Biology that analysed the role of myokine more specifically, Bente Klarlund Pedersen concluded that “myokines may be involved in mediating some of the health effects of regular exercise, in particular chronic diseases associated with low-grade inflammation and impaired metabolism.” Considering that skeletal muscle is the largest organ in the human body, this new research which suggests that their release is the main driver behind the advantageous health effects of exercise is incredibly important. Now, all of this is well and good, but what does it mean for you? Well, one of the biggest reasons that people fail to consistently exercise or even exercise at all is motivation. We are often told that exercise makes us healthier and fitter, but both of these words are subjective, broad, and ambiguous. Once you understand the mechanics behind how and why the body benefits from regular exercise, you’re more likely to commit yourself to it. Each time you exercise, you can now think that your body is releasing a steady stream of myokines not only to make you leaner, stronger, and all around more capable, but to combat diseases and fatal illnesses. Pederson, B. (2009) stated that “most human diseases are not independent of each other, although they are often treated individually.” Myokines are the missing bridge, not only between exercise and health, but between different diseases and their prevention. By understanding myokines in more depth, we can begin to learn exactly how our body defends itself from disease and how we can strengthen this effect from one source. This also explains why areas that begin to develop one type of ill-health condition such as diabetes or cancer also then develop a higher risk of other diseases. Pederson, B (2009) also brought forward the idea of a ‘physical inactivity network’ by which diseases appear in groups, as opposed to singularly. This is derived from research by Christakis & Fowler (2007) which showed that there is a social network of obesity by which if someone was to become overweight, their close friends would have a 171% chance of also becoming overweight. Of particular interest in recent years is the myokine IL-6 (interleukin-6) after it was found to double in circulation whilst exercising. IL-6 is confusing, however. It’s been shown to have a blunting effect for insulin and therefore, increases the chances of obesity. Yet, at the same time, it is released immediately after exercise when insulin is most sensitive. Both type I (slow twitch) and type II (fast twitch) excrete this myokine with it then having an almost hormone-like effect on some organs after circulation. It’s also been associated with increased glucose uptake and fat oxidation. This means that it’s yet to be determined whether it’s beneficial for fat loss and muscle gain. Unfortunately, as myokines have only recently been discovered, the research surrounding them is still very thin. Over the coming years, you can expect more and more studies to emerge surrounding the role of myokines and their effect on our health. How you ever heard about myokines? Interleukin-6 myokine signaling in skeletal muscle: a double-edged sword? Skeletal Muscle, Myokines and Health. The myokine decorin is regulated by contraction and involved in muscle hypertrophy. 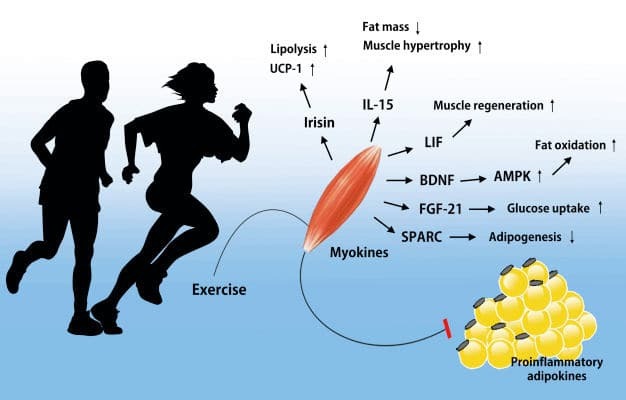 The Role of Exercise-Induced Myokines in Muscle Homeostasis and the Defense against Chronic Diseases.